Today, get an assisted transfer to Gangtok, the capital city of Sikkim state. Placed at an elevation of 1600 meters above the sea level, Gangtok is known for its monasteries, abundant scenic beauty and a pleasant climate. One of the most popular destinations in north-east India, Gangtok has a number of viewpoints to treat enjoy mesmerizing views of the landscape. The hill town boasts of housing several varieties of butterflies, Orchids and Rhododendron. As you reach, check-into the hotel. Later, leave for sightseeing. 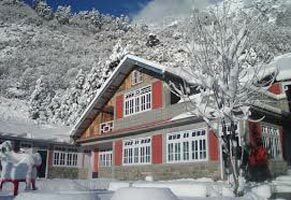 Visit the popular tourist attractions of Gangtok including Directorate of Handicrafts & Handloom, Research Institute of Tibetology, Do Drul Chorten (Stupa), Enchey Monastery, White Hall and Flower Show. After morning breakfast on day 4, we move towards north Sikkim region. Check-out from Gangtok at around10:00 AM and begin driving for Lachung. 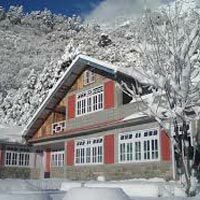 Located at an altitude of 9600 feet above the sea level, Lachung is a beautiful village amidst lush peaks, that form an enchanting view for the tourists. Cascading waterfalls, snow-covered mountains, dazzling streams and a pleasant climate allure travelers from all around. Apricot, apple and peach orchards are an added bonus. Blankets and woven rugs are what you should get your hands on. Post breakfast, get all set for a day’s trip to the beautiful Yumthang valley, lying at an altitude of 11, 800 feet above the sea level. En-route you come across a popular hot spring, known for having water with medicinal properties, which can cure skin diseases. Later, continue to Yumthang. Popularly known as ‘Valley of Flowers’, this valley looks very beautiful during spring, when colorful flowers like Alpine, Primulae, Rhododendrons and more are in full blooming mode. During winters, the valley is covered with a sheet of white snow. Enjoy the amazing weather and treat your eyes to the beautiful views. On the last day, have breakfast. After completing the check-out formalities get an assisted transfer to New Jalpaiguri Railway Station / Bagdogra Airport / Tenzing Norgay Bus Stand for your onward journey.